Conventional wisdom (an expression and concept that has become increasingly suspect in our fractured and siloed world) has it that authors with any hope of recognition and durability need to establish a brand and then stick to it. This involves cultivating a varied social media presence, writing in a consistent genre, and attending to the metrics of a target audience. Almost everything about my experience as an encore career novelist in my seventh decade violates these norms, and I wouldn’t have it any other way. When 70 is right around the corner, there is permission to rewrite the rules to account for a different perspective, items already checked off the bucket list, and authorial goals that better reflect this phase of life, especially as a woman author. I have published two novels with a press that works only with women, many of whom have come to the writing of their novels, memoirs, or other works of nonfiction after successful first careers. Perhaps that is why I see what seems to be an explosion of articles and books by and about women over 50 who have much to say, as writers, about their experience at this time in their lives. I join in. We are feeling empowered, freed, and enthusiastic about what we’re doing and where we are going. Our focus and ambition are often balanced by confidence that is not brash, equanimity that is not weakness, and stability of resources. Three features of this outpouring of late-blooming creativity strike me as important. First, many women publishing our first and second books at an age when we might be expected to retire and focus on hobbies, travel, or grandparenting have had previous careers. We have experienced success professionally and perhaps also personally in the form of partnerships, marriages, or parenting, or some combination of these. We know what it feels like to have become skilled at work and relationships and have grown to expect compensation—financially and/or psychologically—in ways that have been fulfilling and which are self-supporting. We are often the first generation of women in our families to have achieved this. We also understand that hard work and enthusiasm are not guarantees of success. We have faced and overcome setbacks and have come to understand that obstacles will inevitably arise and require resilience, and even reinvention. This may daunt us, but it does not defeat us. These experiences inform us as new authors. Second, as women in our 50s, 60s, and 70s, we have lived through multiple phases of social upheaval and redefinition around our roles as women. We have learned, sometimes at great cost, to judge and trust in our own merit and to shed expectations and assessments of others based on sexist, racist, ageist, or other discriminatory attitudes and social mores. Then, with our hard-won knowledge, we have written books—memoirs about our experiences and novels peopled with characters whose arcs reflect our challenges and our wisdom. I believe that our characters and the experiences we write about reflect the refiner’s fire of the lives we’ve lived and survived–and often even managed to thrive. Finally, for many of us, the path to publication has involved a steep learning curve. The hybrid publication model of my press demands much from the author—monetarily, in using social media skills new to many of us, and in publicizing and marketing our books–requiring us to develop or hire those skills. Our publisher provides expert cover and book design, on which we collaborate and approve. Our books receive widespread distribution, and as authors, we learn about and contribute to the metadata that positions our books in stores and libraries. We publish the books we want published, as long as they meet the exacting standards our press has set. If we choose not to “write to the market” or to change genres in our second or third books, we do so, knowing full well that it complicates our marketing and the development of our brand. Yet no one tells us, “You can’t do that.” We take risks such as these in the service of satisfying our need to tell the stories that compel us and that we believe are worth our readers’ time and money. We work hard to achieve success with our books, and our path to publication allows, and in fact requires, us to define for ourselves what that success looks like. All of us want to sell books, but sometimes that’s not the most important part of why we choose to publish. To borrow Elizabeth Gilbert’s description of creativity, there is a feeling of “big magic” in creating books and in dwelling in a community of like-minded authors at a time when the expectation is that the magic is mostly behind us. It’s not! 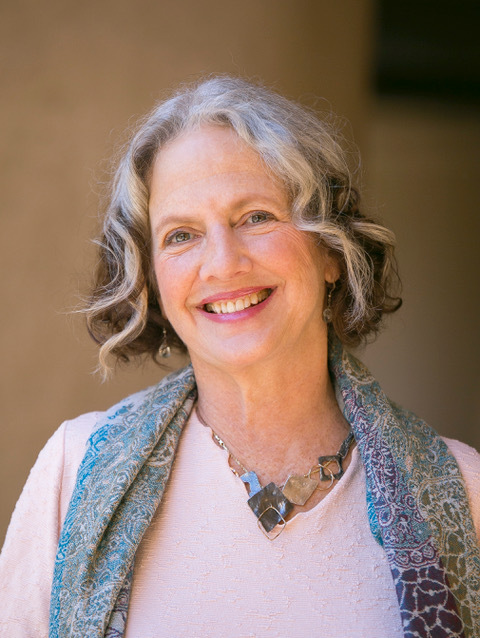 Barbara Stark-Nemon is the author of the novels Even in Darkness (2015) and Hard Cider (2018). She lives, writes, cycles, swims, does fiber art, and gardens in Ann Arbor and Northport, Michigan. After earning her undergraduate degree in English Literature and Art History and a Masters in Speech-Language Pathology from the University of Michigan, Stark-Nemon enjoyed a teaching and clinical career working with deaf children. Visit her online at www.barbarastarknemon.com/. Great article, Barbara, thanks. This year I, at the age of 76, will be joining the ranks of recycled authors with the publication of KEEP ME SAFE. Life has been good to me and is getting better every day. Beautifully written essay on our decisions to become more vocal as we mature and grow up in life. Bravo to She Writes Press for recognizing the abundant talent abounding and for sharing it. I hope to read your book very soon. Congrats! Kathryn Abdul-baki, A Marriage in Four Seasons. Thank you so much, Helen and Kathryn! It’s a wonderful sisterhood to be in!